The U.S. Geological Survey’s National Cooperative Geologic Mapping Program (NCGMP) has awarded the AZGS $170,940 to support geologic mapping near Oatman in Mohave County, Quartzsite in La Paz County, and northwest of Safford in Graham County. Geologic mapping is one of the primary functions of the AZGS. For the past 23 years, we have been aggressive participants in the USGS-run National Cooperative Geologic Mapping Program, successfully competing in the StateMap program component that matches state funds. 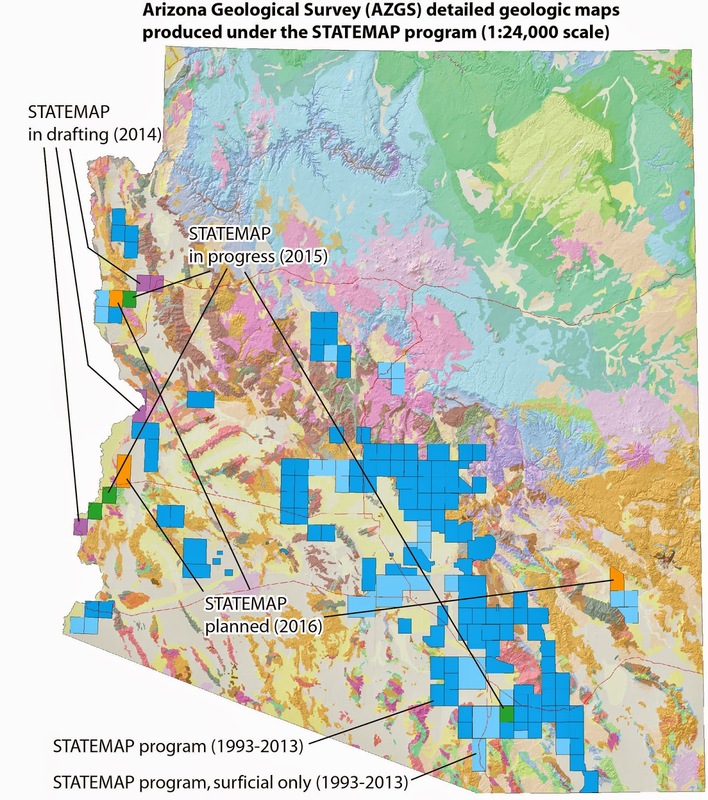 Since 1992, the AZGS has been awarded $3,943,335 in StateMap funds; because these funds are matched dollar for dollar by State funds, nearly $8 million has been invested in geologic mapping in Arizona over the past 23 years. The result: more than 161 geologic map products (nine of which are still pending publication), most at the 1:24,000 map scale, comprising about 8000 square miles (see the accompanying figure). Senior geologist Dr. Jon Spencer, chief of the Mapping Section, and Dr. Phil Pearthree, chief of the Environmental Geology Section, jointly oversee a staff of five geologists that engage in mapping part to full time. Mapping priorities are set by the AZGS's Geologic Mapping Advisory Committee made up of representatives of state and federal agencies, universities, and the private sector. Geologic map products are released in the fall of each year at the online Arizona Document Repository as free, PDF downloads. For more information on geologic mapping in Arizona, see “Index of geologic maps available from the Arizona Geological Survey v 1.1” (2015). "Today I vetoed Senate Bill 1200. Although I commend the work of the bill's sponsor, we must evaluate the use of state buildings holistically, rather than individually. At this point, there is not a plan or organizational structure in place to ensure the successful transition of the mining and mineral museum. While I appreciate the desire to preserve and celebrate the unique characteristics of Arizona's past, it would be premature to sign this legislation at this time." 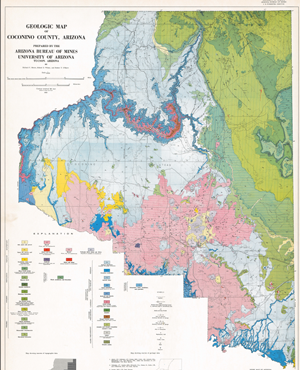 In 1959 and 1960, our predecessor, The Arizona Bureau of Mines - University of Arizona, published the popular Arizona county geologic map series. Until now, these important maps were only available in printed form; we are going digital. Follow our Facebook and twitter feeds for posts announcing the release of individual maps. The entire suite will reside at the Arizona Geological Survey Map Series collection at our AZGS Online Document Repository. The museum was formerly operated by the Arizona Dept. of Mines & Mineral Resources, which merged with AZGS in 2011. The legislation also transfers the budget for the rent and a curator from AHS to AZGS. AZGS will be responsible for finding additional funds for developing exhibits and education programs, setting up a gift shop to fund operations, hiring staff, and operations costs. NASA and a consortium of mining companies announced plans today to capture a metal-rich asteroid as it passes by Earth, with the intent of sending it to Arizona, where it will be mined for rare earth elements. Rare earth minerals are in increasing demand for technology applications including hybrid cars and cell phones, but China dominates the world market raising concerns about supply disruptions. NASA proposes sending a small rocket to asteroid Heise-2014 discovered by an amateur astronomer last year who is the world's wealthiest breeder of thoroughbred seahorses, that would nudge it out of orbit and towards lands controlled by the McCrory Asteroid Mineral Alliance (MAMA) west of Phoenix, Arizona. 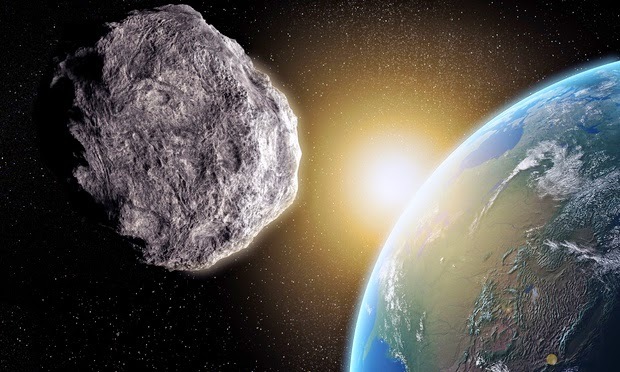 A company spokesperson downplayed the chances that the asteroid would be significantly off target when it lands (or "impacts" as the news media says). Company president Art McCrory, issued a statement from at an undisclosed location on the Canadian shield, saying, "A gazillion tons of rock and metal hurled towards Arizona at 25,000 miles per hour, what could go wrong?" He closed by wishing us luck and asking that we let him know how it works out before retreating to his underground bunker with the former Miss Rhenium of 2006. NASA noted that Meteor Crater, Arizona was formed by an impacting body without damaging property 50,000 years ago, so there should be no worries this time around either. In fact, NASA and MAMA may sell tickets to view the landing from ringside seats. Dark glasses will be provided to spectators.